How did the client find you? 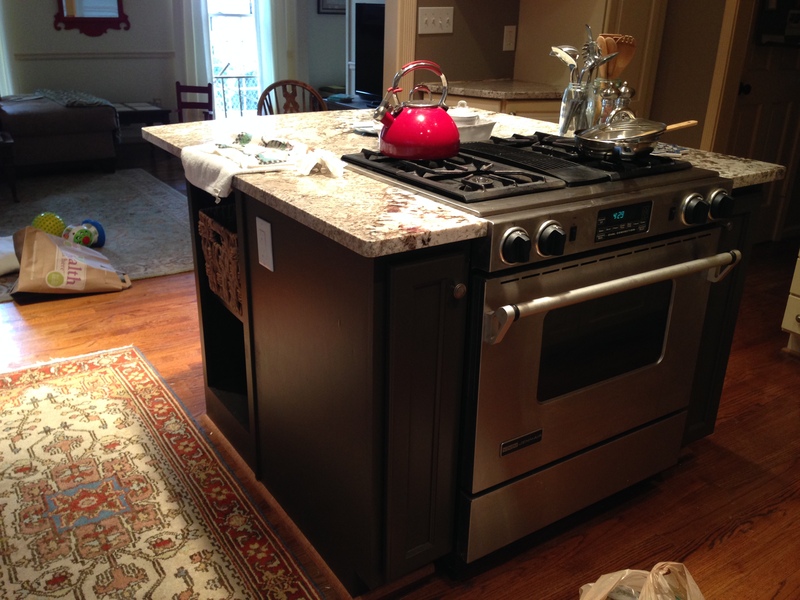 This latest kitchen remodel by Atlanta Curb Appeal is a return client for us. Last year we converted their porch into a screened sun room. They were very pleased with our work and us. Why did they choose to have their kitchen remodeled? The client had a small removable island in the kitchen but needed a larger one. They also wanted to shift a few things around. 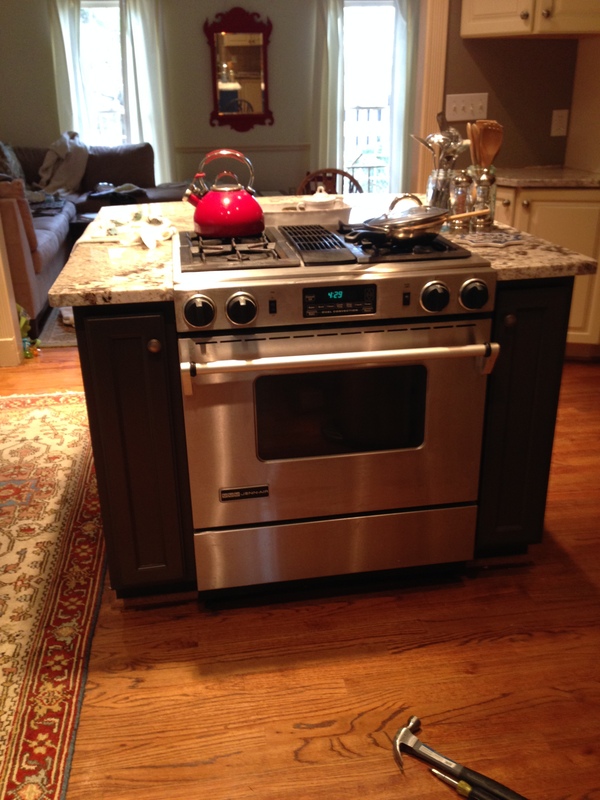 The oven was too far from the prep and sink area and they wanted it to be closer and actually inside the island. We came out to the house again and discussed their needs and functionality of the island. First they wanted to be assured that they had enough space for everything. The client wanted to be confident that this new island and surrounding space would have a natural flow. We outlined the area that it would require and marked it with blue painters tape on the floor. This allowed them to get used to the size of an increased island in the day-to-day use of the kitchen and highlight any potential issues. How long did the new custom island take? A few days after marking the floors Atlanta Curb Appeal custom-built and then stained the new kitchen island. The granite guys came to measure all the countertops plus the island for the new granite. 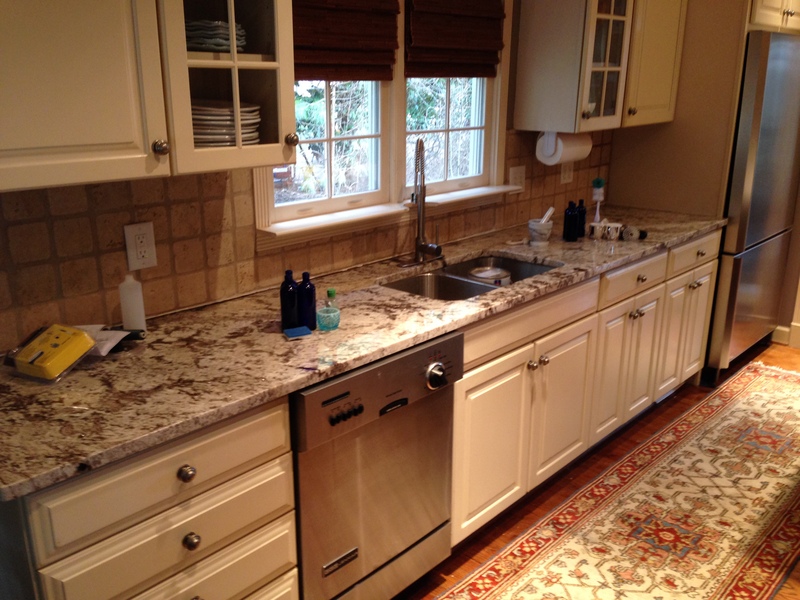 I have a place in Kennesaw that we like to get our granite from for the kitchen and bathroom remodeling projects. I sent the client over to their shop to pick out the slab they liked. Moving the range was a big challenge. We had to move a gas line, a 220v outlet and a big fan duct under the floor. Luckily, they have a half finished basement so we were able to access everything from below. We also built a new custom kitchen office desk with one drawer where the range used to be. This closed the gap that was left behind. Kitchen offices are becoming a more popular request. Did they love the work? The client is SUPER HAPPY! They love the new kitchen look and the new island space! 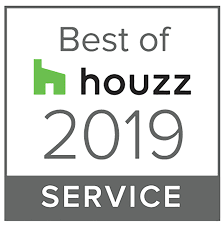 In fact, after we finished this East Cobb kitchen-remodeling project they asked if we could go ahead and finish part of their basement, which we just completed last week. I can’t wait to share pictures from that next month or on Facebook.